When you travel with kids, where do you go? In our family, as we travel with kids, we intentionally seek out the old and the new, keeping in mind that we should maximize their learning experience. Tang Ancestral Hall in Ping Shan, Hong Kong. 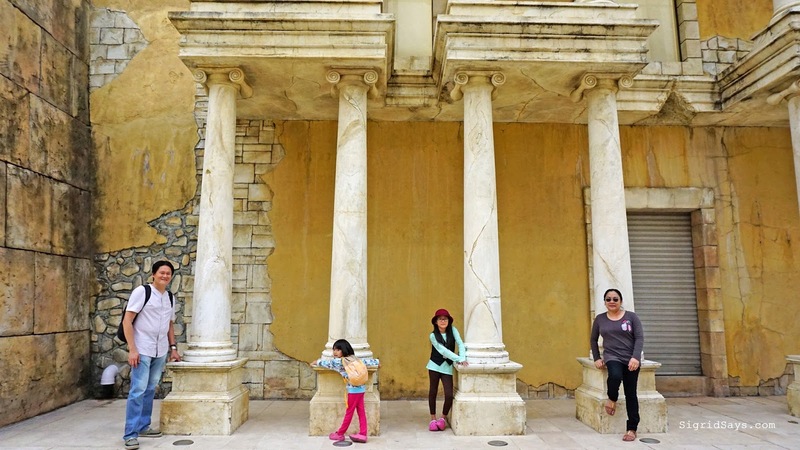 As part of our homeschooling in Bacolod efforts, my husband and I have always allocated time and budget for travelling with our kids, whether just a road trip around the province, a trip to another city, and now, we have started going on overseas trips. Ever since Dindin was one year old, we brought her with us all over. Part of the reason is because we don’t have a babysitter to leave her with. And we just take every opportunity as a learning opportunity, both for her and for us. When we attend events, she also comes with us. 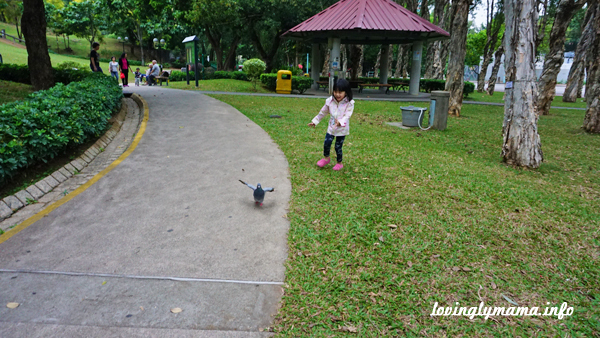 The kids got a chance to chase the birds at Yuen Long park. For example, relatives would get married either in Manila, Cebu, or in Mindanao, we bring Dindin with us and make sure that we extend our stay for a few days so that we can see places and experience things, other than just attend the wedding. It’s hitting two birds with one stone. Now that we have two daughters, travel with kids is very much our reality. Our reason for traveling is to open our kids’ eyes to the world around us. There is so much to discover and explore and we live with the adage that “The world is our classroom.” It also helps us to see our children in different ways, like how they cope with traveling, new environments, trying out foods, and meeting people. Traveling also makes us learn about ourselves as parents, how we deal with our children especially in difficult situations, and how we are as a couple. So as long as we can, the travel with kids part is always going to be a part of their growing up years. Fisherman’s Wharf in Macau. The kids got a glimpse of the historical Roman colosseum through this. 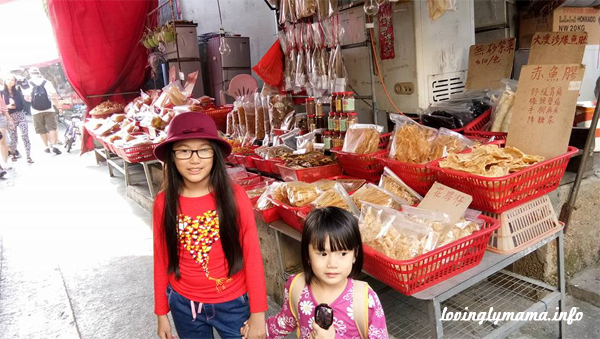 Whenever we travel with kids, we shy away from shopping malls and factory outlets. My husband and I are not shoppers beyond our needs, as we live simply. Plus, the kids just enjoy window shopping. They do not usually ask us to buy stuff for them. So when we travel, we like seeing old and new things. What do we mean by that? 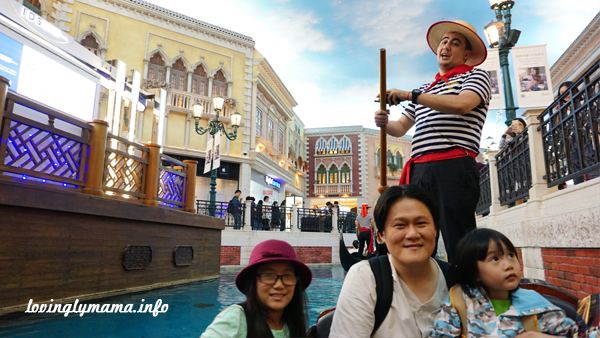 Our gondola ride at the Venetian Macao with our gondolier, Leone, who’s a really good singer. Old refers to culture and heritage of a certain place. We try to look for a museum or a tourist spot with a historical significance and explain these to the kids, in the manner that they understand. For example, when we were in Cebu one time, all our relatives wanted to go to S & R to shop while we went to the Taoist Temple. In Manila, while the rest of the relatives went shopping in Divisoria or 168, we went to Luneta and the Museo Pambata. So just recently, we just came home from a 7-day tour of Hong Kong and Macau. Of course, Hong Kong Disneyland was part of our itinerary. In fact, we got the two-day pass so that we can truly enjoy the park and finish the attractions and have photos with the characters that are available. 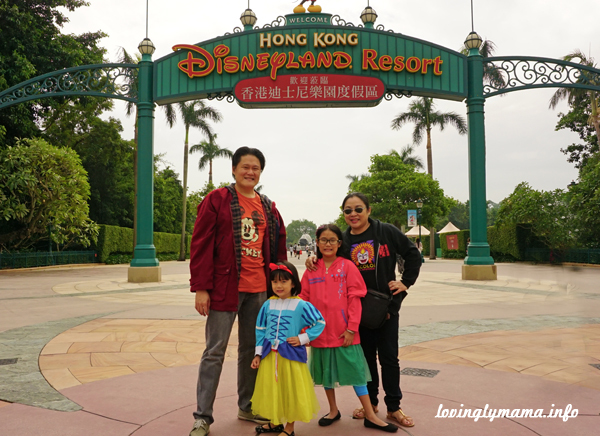 Our first day at Hong Kong Disneyland. (Book your Hong Kong Disneyland tickets here: Hong Kong Disneyland Ticket – Klook Travel ). After all, the kids are kids and they love Disney movies and characters! They even went in full costumes. Yes to travel with kids in costumes! In between our tours, the kids get to play in public playgrounds. They’re kids, so naturally they would want to play. But aside from these theme parks, we hiked the long walk at the Ping Shan Heritage Trail to see the older side of Hong Kong. It’s like a walk around the heritage houses of Silay City here in Negros Occidental. 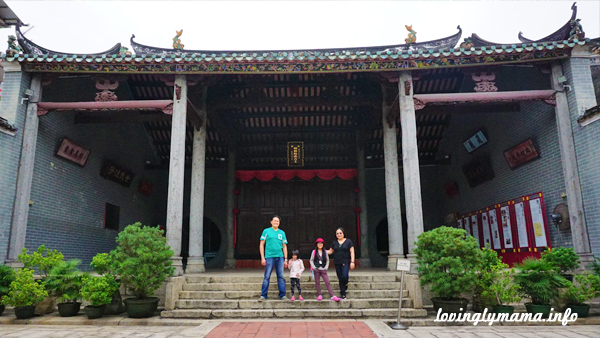 We got to see old temples and houses, like the Tang Ancestral House of the Tang Family in Ping Shan. They also got to play in the park and the playgrounds. We freed up our Wednesday because that means we’re gonna get free passes at the Hong Kong Science Museum and the Hong Kong Museum of History. Yes, they are free every Wednesday only, for both locals and tourists. There we saw how extensive Chinese, specifically Hong Kong archaeology is. Too bad, we didn’t have much time to study everything. 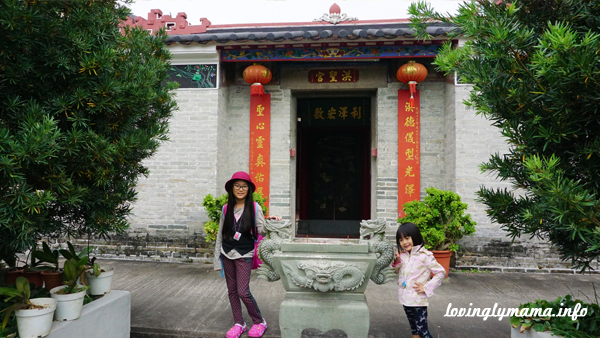 Hung Shing Temple in Ping Shan is part of the heritage trail. This is a long walk that the kids endured. 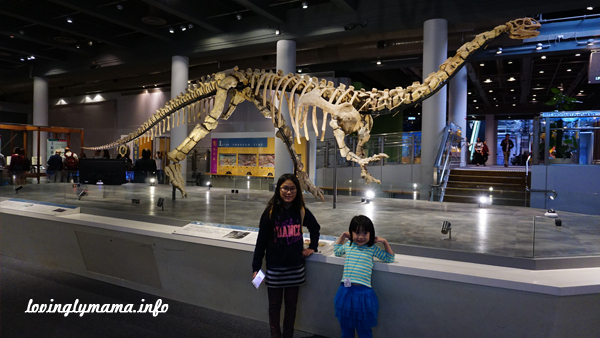 If you have geeky kids like ours, it is best to set aside at least half a day for each museum. Three hours was not enough for the science museum, as we had to move to the history museum and spent two hours there. Still, there was one more area that we were not able to explore because of lack of time and we also had to stop and eat. The kids also got to try different modes of transportation. We hopped on the LRT, the MTR, the small and the double decker buses, a ferry, and also the cable car. They quickly adapted to how different life is in Hong Kong. At the Hong Kong Science Museum. Oh, I think by this time, you have realized that we did not get a guided tour package. We explored Hong Kong on our own, so they also experienced getting lost and being late. 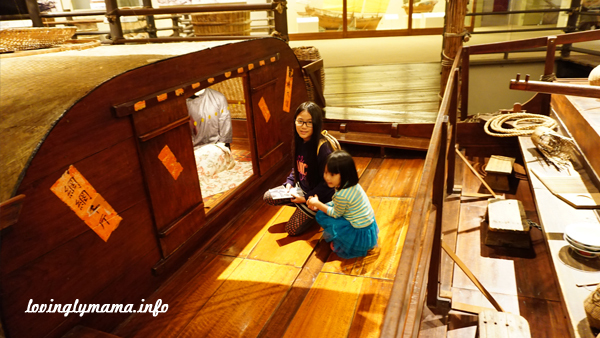 On board an old Chinese boathouse at the Hong Kong Museum of History. Another stop that we usually include is the zoo when we travel with kids. If there is a zoo in the area, we will really try to sneak a visit into our schedule. The kids have learned about a lot of animals through the years but it is a different experience if you see them up close. 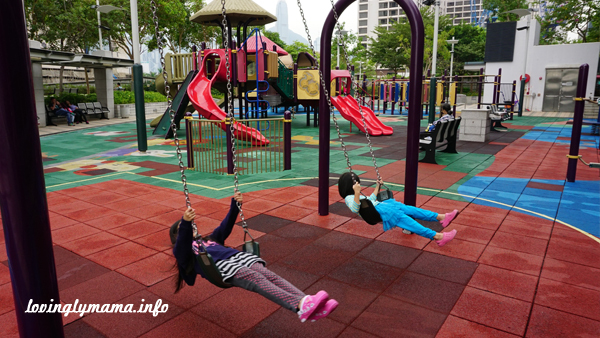 When we went to Ocean Park Hong Kong, the kids enjoyed the attractions and Dindin especially appreciated the marine exhibits that teach about conserving the oceans. She would tell us afterwards what she had learned after reading the information on the exhibits. Yes, we don’t just stop for pictures, we read. Dindin and a sleeping red panda in the background at the Ocean Park. We only learned about the red panda in the animated movie, Barbie Island Princess, but it’s different when you get to see it in reality. The little one, meanwhile, just enjoyed being surrounded by fish, starfish, jellyfish, and other marine animals. The Panda exhibit was also another experience for them. 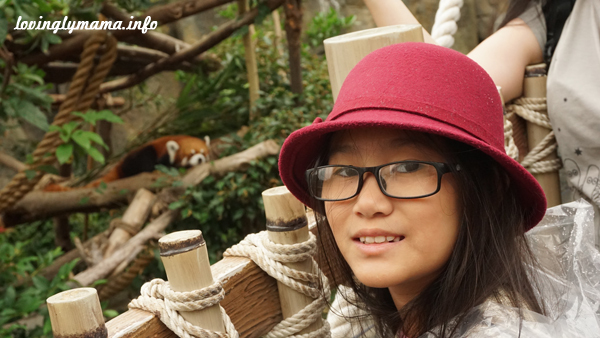 The red panda, for example, was a featured animal in the animated movie, Barbie the Island Princess. Personally, I honestly thought it was not a real animal and was just created for the movie. So it was an educational time for both parents and children at the Ocean Park. So that’s it. For every trip, we try to balance the old and the new as we travel with kids, to try different things, see new places, and appreciate how the civilization of the past worked. We try to visit at least one theme park and one museum, because that’s where you learn about the culture of the place. That’s how we educate our children. To travel with kids part of our homeschooling. Apart from their classroom lessons, we try to show them the world as much as we can afford it. I would have to agree. There are a lot of things to learn outside the four walls of the classroom. Thus, I believe that traveling is one of the things that every homeschooler should consider for their children. Where’s your next destination? Looking forward to your future posts. Just somewhere in Asia. It really depends on how much the kids have saved for their travel plans. haha But of course, that doesn’t stop them from aiming for Australia, London, and the US. The world is our classroom indeed. Even as an adult, it felt like I was in a social studies class during the whole trip. I got to see the culture and observe the values of the Hong Kongers. We were able to comprehend better what their government is like. Our host was a fellow Filipino who have observed the locals for 20 years. He shared to us some interesting things about the Hong Kong people…and even point out the difference between the locals and the mainlanders. Well, there is more to learn there actually. There are a lot of questions that needs answered. But these are things we never found in any social studies textbooks. The kids though do not have the skills, abilities, maturity and instincts to observe these things yet. But these also help us realize as homeschooling parents how to guide the kids with questions on our next trip. I think travelling with kids is neat. I’ve seen some parents who basically put away their travel plans cos they think their kids won’t appreciate it as they’re still young. That said, I think kids who have been travelling from a young age learn to develop worldly skills and an appreciation for different cultures! Travelling with kids must be such an amazing experience, because they make you see the world through their eyes and it’s like living a trip in the trip! I get what you mean! haha Each family trip that we have is an amazing experience that’s so different from the previous one. I love that you take adventures traveling and you do so with your kids. I really would love to take my daughter more. I think there are so many things you can do and learn while traveling you cannot do any other way. Love this! Not only do I love that you homeschool, but I think it is so cool and so important that you make a point not to go to shopping centers and such with the kids! Also, if you go out with your kids and they don’t ask you to buy them something, I think that actually makes you Parents of the Year! 🙂 Keep doing what you’re doing! Although I did not homeschool my children, we did make it a point to take them to places where there was something to be learned. My children’s favorite places to visit were and even as adults now still are museums and aquariums. ? I just came back from Disney in Orlando, Florida in the U.S. And I agree that whenever we tour, we should definitely add an educational part to our travel plans. We just happened to stumble on a dinosaur theme restaurant and my kids loved learning about dinosaurs. Is that Dinosaur themed restaurant also in Disneyworld? That’s awesome! Great article! This is right in line with my thinking. We try to do the same thing balancing old and new: Our trip to Japan was similar to your Hong Kong trip in that we toured shrines and temples, and also went to Tokyo DisneySea and Studio Ghibli Museum. As you wrote, kids are always learning on a trip…about themselves, and family, but also about different architecture, art, culture, currency, language (the list could go on and on). This looks like such a great adventure for families to enjoy. I think its admirable that you are showing your children much history and exciting places in this big world we live in!